I was wondering why almost all my rechargeable batteries drained after a few weeks while unused in my bag, having no clue what the reason was and how to solve it and I searched some sites, made a few questions and everything became clear to me after a few days. I recently purchased a new powerful flash a Yongnuo YN-568 EX II which is very similar to the Canon EX-580 or Canon RT-600 if you prefer a newer comparison. The price I paid was around 150 euros including postage fees instead of around 525 for the Canon 600 RT or 360 for the Metz 58 AF-2 or 255 for Nissin Di 866 II. I am unwilling to recommend it though, because I had a defective unit that soon became a reason to doubt Yongnuo and the after sales support they give. When I reported my problem to Yongnuo they only said my case was a unique case and they had tested some of the batch units. I can only say to you that there are two versions of YN-568 EX II now, one with a red back lit screen and one with a yellow one. The one with the yellow back lit screen is the Version 2 even though no-one admits it. So they may have changed the capacitors and reviewed the firmware to not allow operation when overheated (for whatever reason). Nevertheless my flash unit was replaced with a new one. In order to be fair I am sharing the specifications with you and you'll see why after my comparison I chose Yongnuo. edit: I also chose Triopo TR-981C after some more research. It was cheaper and similar (and better) in specifications. With green color you can see the best characteristic among the three, red is the worst. HighSpeed Sync maximum shutter sync up to 1/8000. edit: There's now a better and cheaper alternative to Yongnuo YN-568EX II. It is Triopo TR-981C at 60 euros! What made me buy it was the price which is unbeatable and I have even found it at 120 euros!!! edit: I also bought 2 x Triopo 981C, they seem to work fine after 2 years now. Yongnuo YN-568EX II has gone for repair 2 times! I used my cheaply bought rechargeable batteries rated 2000 Mah up to 2500 Mah, but to my surprise only a set of 2500 Mah batteries worked and another of 2000 Mah. I started wondering why and I bought a clever charger with test functions only to see that my 2500 Mah batteries were really somewhere between 800 and 1000 Mah!!! Then I started looking at the expensive Maha powerex batteries rated at 2700 Mah, but I wanted to see an actual test for flash usage. And I found it here: http://photography-on-the.net/forum/showthread.php?t=677074. This test shows some interesting things. 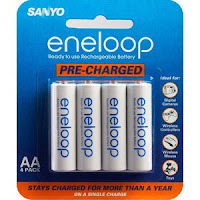 Among them that eneloops had 100% charge when opened and maintained their charge after 3 weeks (as the powerex 2700 Mah), but what it doesn't say is that the eneloops continue to keep their charge for long after a month or two, something that the powerex 2700 Mah cannot do. 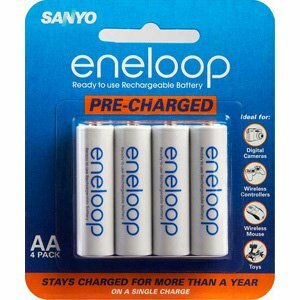 For the use I am doing I surely need 2-3 sets of eneloop 2000 Mah that continue to keep their charge for a long period of time. I also verified it from Ken Rockwell's site here.